Don’t you love winning on giveaways? 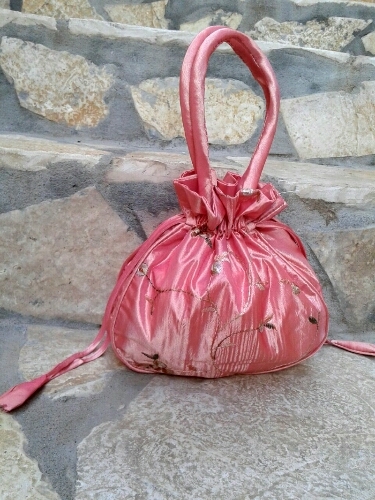 Veronica from Ajugas was giving away this lovely silk bag. She mentioned, she would randomly select one recipient for the silk bag on or around the Spring Equinox. I was thrilled to find out that she meant the 20th of March, which is my birthday! And what a thrill when she informed me that I was chosen! I absolutely love the old fashioned style of the bag. So granny! It is perfect for small projects, like my socks. But the rest of the goodies her package was having in, definitely outrun the bag. 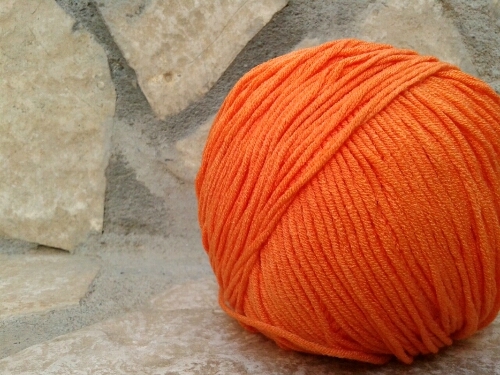 She so generously included 4 balls of the squishiest yarn I ever touched in orange! I love that orange and it’s F’s favorite color. The yarn is 80% cotton 20% casmir. Not to forget, she also sent me some hand cream and lip balm. I can’t believe how generous knitters can be! Every time I get so amazed! Veronica lives in the other corner of the earth, in Texas, but our love for knitting brought us close. I have more people to share my passion here than in my daily life. Thank you Veronica for being one of them. I wish you always give so much joy to others. Thank you all for supporting me, inspire me and just be absolutely freaking amazing people! Oh, Zeta! What a beautiful post! Knitters rock! Orange cotton/cashmere blend?! Oh my… I already see a loose beach sweater in my imagination! Have fun! Oh thank you my dear for the idea! It will be the next to cast on! Χρόνια πολλά Ζέτα μου!! Χριστός Ανέστη!! Εύχομαι να πέρασες πολύ όμορφα!! Συγχαρητήρια για το δωράκι σου!!! Πάντα τυχερή να σαι!! Είμαι σίγουρη θα το αξιοποιήσεις στο έπακρο!! Ωραίο και φωτεινό χρώμα το πορτοκαλί!! Να σαι καλά γλυκειά μου!! Χρόνια Πολλά Μαριλένα μου! Πέρασα…. κάπως αδιάφορα μιας και δουλεύα και δεν ήρθε και κάνεις αλλά δεν πειράζει. Καλά να είμαστε μόνο! Το δωράκι θα γίνει κάτι φανταστικό! Θα δεις…. It was an absolutely lovely prize! I love that kind of mail! Zeta – what an amazing post. Thank you so much! 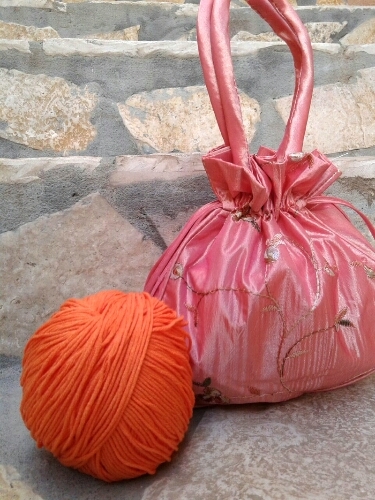 I am so glad you liked the silk bag and the lovely dreamsicle yarn. I also want to see what you make with the yarn! Do you have any suggestions about the yarn? Have you used it?